Anyone who’s been stuck on central traffic arteries like Reforma and Insurgentes in peak hour might attest to Mexico City’s special relationship with sound. Indeed, sound has a distinct place in the city’s creative life and cultural production, which includes festivals of sound art like El Nicho, the sound art collection of the Museo Universitario de Arte Contemporaneo (currently on display until the end of July), and much-­loved institutions like the Fonteca Nacional, a patrimonial record of the country’s sound cultures housed in the former home of author Octavio Paz. In two ongoing projects, Mexico City artists are working with sound, streaming and radio waves to explore questions of curation, performance, political discourse, memory and public assembly. They are Escuchatorio, “a listening act” and #Todas Las Canciones Son Nuestras, “a collective memory exercise.” I spoke with artist and producer Juanpablo Avendaño Avila who is involved in both projects. 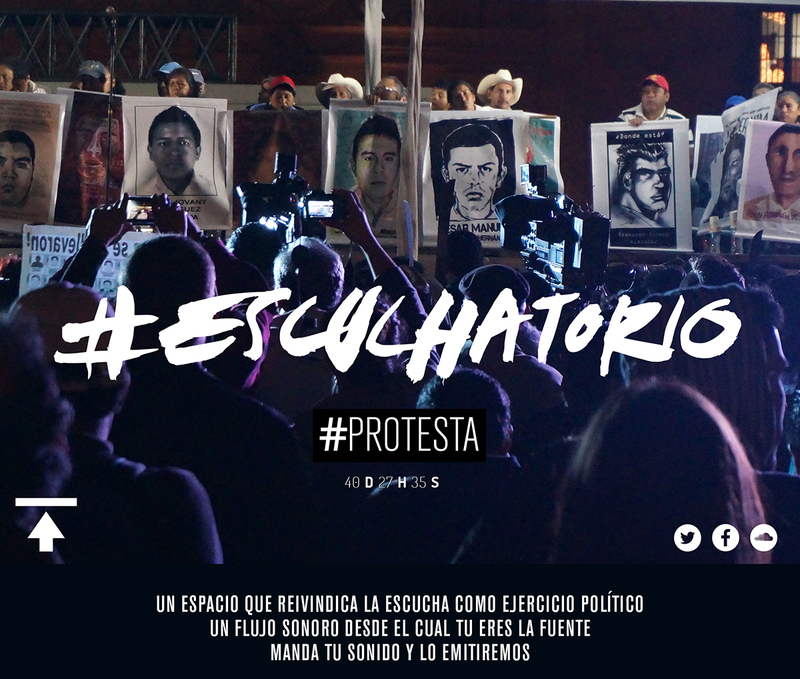 The first such event, EscuchatorioProtesta, took place on 26 September, 2015, a date chosen for the first anniversary of the disappearance of 43 students from the teachers’ college of Ayotzinapa in the state of Guerrero. Participants were invited to submit, via the Escuchatorio platform and the WhatsApp messenger app, sound files of social protest. A total of 435 submissions were filed and then played over 43 continuous hours. The signal was boosted by the social media hashtags, but also with the collaboration of 36 radio stations, based all over the world — from Radio IBERO in Mexico City to Phaune Radio in France to Radio Ambulante and Vocalo Radio in the USA. The audiences of these stations were also invited to submit material, adding a multilingual, polyphonic ambience to the event conceived and produced by Juanpablo with Diego Aguirre and Felix Blune, with contributions from many others in the communities around art, sound and radio in Mexico City. Nearly two years on, the importance of this event seems amplified. Just this week the parents of the missing 43 took their caravan of protest to the state of Quintana Roo (home to popular tourist spots like Cancun and Playa del Carmen), still craving answers in the wake of investigations that have found drug cartel, police and government complicity in the kidnapping, and the remains of two of the students. The next Escuchatorio event is currently being planned for 16 September this year. This day, known as El Grito de la Independencia, marks the first day of Mexico’s annual independence celebrations. “El Grito” is a cry, or a shout, in this case believed to be delivered by Miguel Hidalgo, who catalysed the revolt against the Spanish colonists in 1810 with a speech on the steps of the church he led in Guanajuato, north of Mexico City. “We are working with the idea of silence, as a counter-position to that of the shout,” says Juanpablo. “At the same time, we want to consider how the idea of independence itself has been devalued in Mexico — so we will be highlighting a kind of destructive tension between silence and grito, through the silencing of the signals of independence.” To be sure, markers of political independence such as state accountability and electoral oversight are often found wanting in Mexico. The Ayotzinapa case offers a demonstration of this impunity, a particularly potent example of the collapse of the people’s sovereignty. Conceived in 2016 by Maria Cerdá Acebron and produced and implemented by Maria in conjunction with Juanpablo, submissions (via the online platform, or WhatsApp) to #TodasLasCancionesSonNuestras are not always explicitly political; perhaps because participants are invited to consider songs and sounds that invoke, through memory, the development of one’s personal political outlook as opposed to those who might have a specific political agenda. One example is the submission of “La canción de la culebra” (“The song of the snake”), a banda track associated with the assassination of a politician who was a candidate for the presidency in 1994. It is this song that was playing at a public rally for politician Luis Donaldo Colosio when he was shot dead, apparently by a hitman. There is video footage (which had wide public coverage) of the shooting, wherein one can hear the song very clearly, and where the lyrics (eg “beware the snake”) rather spookily keep narrative time with the advance of Colosio’s assassin. 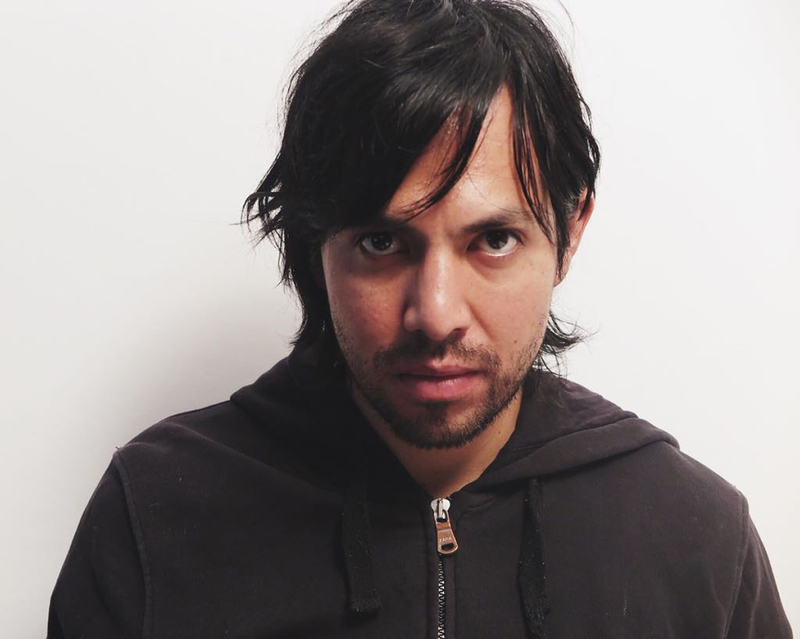 As a submission to #TodasLasCancionesSonNuestras, says Juanpablo, “’La canción de la culebra’ is not so much political as representative.” That is, in public memory the song is symbolic of a significant event concerning a prominent politician running for the highest office of leadership in Mexico in a year of particular political turmoil for the country — 1994 was also the year of the Zapatista uprising in Chiapas on January 1, a date that also marked the commencement of the North America Free Trade Agreement between the US and Mexico. “La canción de la culebra” also has a longer history as a song in the genre of banda, a very prominent musical form in Mexico with varied symbolic and political associations of its own. 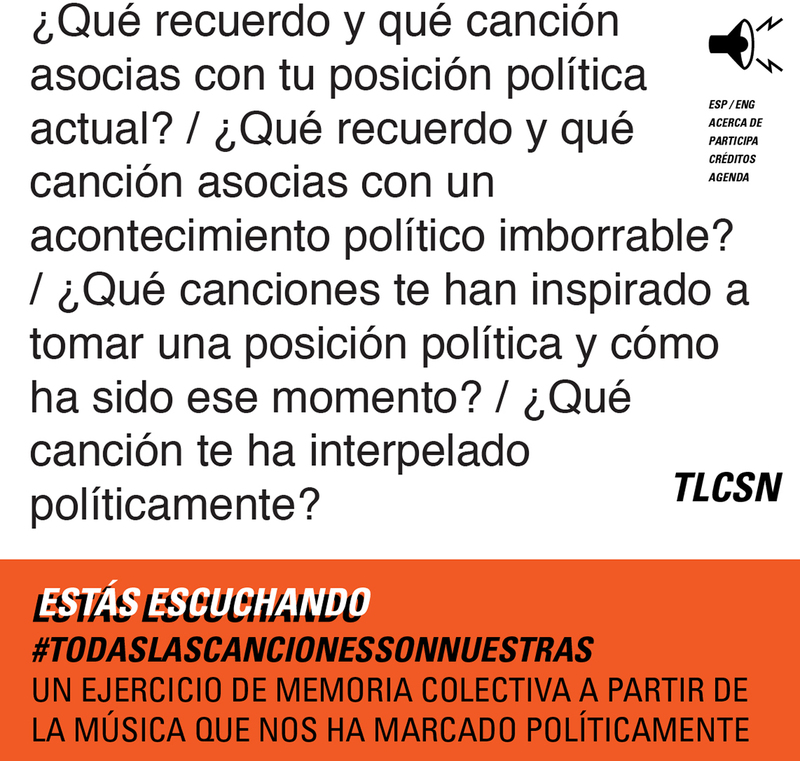 Regarding those who have submitted this track to #TodasLasCancionesSonNuestras, we know that the song has mattered politically, but, given the dispersed and multi-threaded nature of its associations, indeed much like the nature of memory itself, we can only guess at how. As projects, Escuchatorio and #TodasLasCancionesSonNuestras sit outside “the circuit” of Mexico City’s long and strong tradition of sound art and culture, Juanpablo says. Indeed, it is clear that these artists and producers are bending the circuits of sound production in this noisy city, where there are plenty of issues and stories in search of amplification and orchestration.